At Solatube, we have powered and solar ventilation solutions to remove heat from any garage and bring in cool, outside air. You have many uses for your garage. We have many ways to keep it cool. Whether you're working on your car, your fitness or your next great project, you want to keep the heat out. 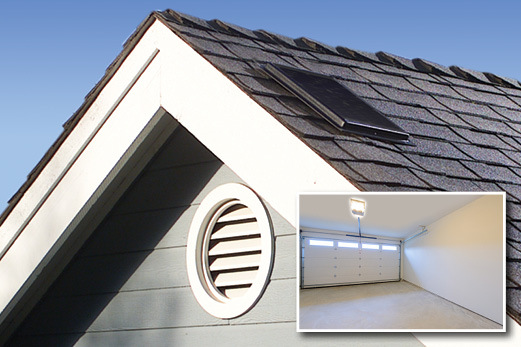 At Solatube, we have powered and solar ventilation solutions to bring cool, outside air into any garage. Solutions for every garage configuration. When the sun beats down on your garage's roof and there's no insulation to keep the space cool, Solatube's RM 1500 roof-mounted solar fan is an ideal solution. It runs all day without using any electricity so you keep the entire space cool without adding any cost. When you're as busy in the garage as the living space above it, you want a solution to keep it cool. 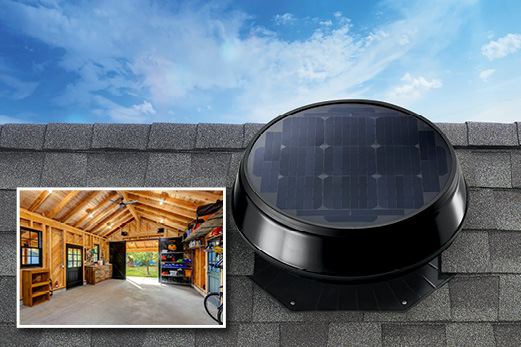 Solatube delivers a solar fan (IM 1500) that mounts on a side wall to pull the hot air out of the garage all day so you can do everything in your garage in total comfort. This solution is a great option for virtually any garage configuration type. 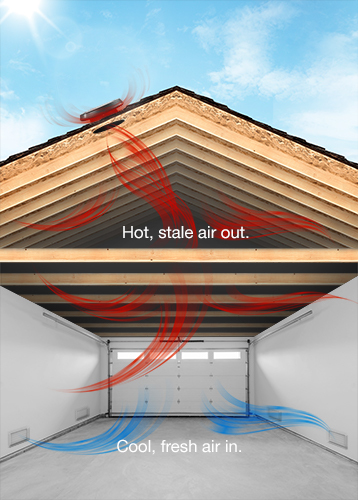 For garages with attic space above them, you want to keep both spaces cool to keep yourself comfortable and your home protected from the elements. 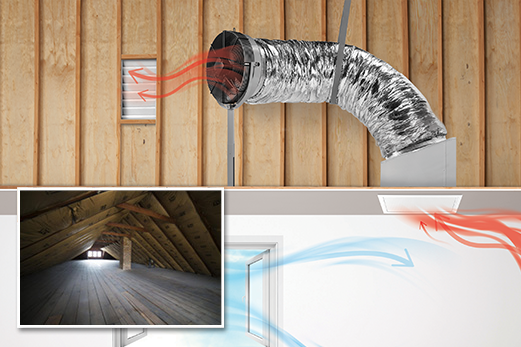 Solatube's powered garage fan pulls hot air out of the garage and attic while bringing cool air in from the outside.